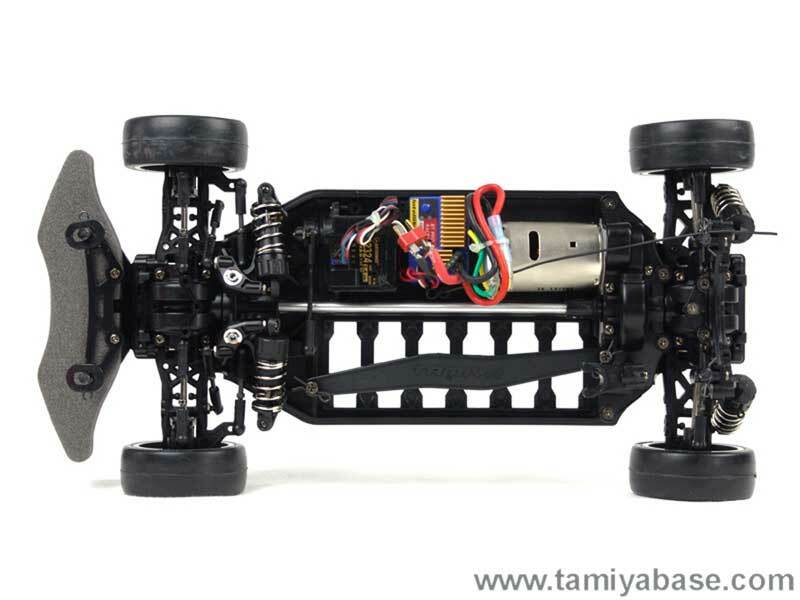 Equipped with many race-use parts as standard, the TB-03 also features a longitudinally-mounted motor and shaft-driven 4WD drivetrain with 3-piece propeller shaft. The bathtub frame has an integrated motor cooling duct to enhance motor performance as well. The suspension is made up of TRF416 front and rear uprights, short reversible suspension arms, and the unique front inboard layout, giving fans a highly evolved 4WD chassis.